The advent of the internet has introduced a new media environment surrounding the pro-eating disorder the community. Each year, over 13 million searches are conducted on the internet for pro-eating disorder tips, advice and information. While efforts have been made to eliminate the pro-eating disorder online communities, underground pro-eating disorder sites continue to thrive. Members of pro-eating disorder sites normalize and rationalize their eating disordered behavior, thereby encouraging the continuation of the eating disorder and reinforcing their viewpoint that anorexia is a lifestyle, not a disease. The cultivation theory supports this research because it states that when messages are repeated and pervasive, viewers are more likely to accept the messages as normative. Through a thorough literature review, this paper analyzes the research in the field of eating disorders, pro-eating disorder sites, body image and cultivation theory. Through this research, it was discovered that the members of pro-eating disorder sites normalize their behavior because of three common themes, including posting thinspiration images, sharing common experiences and reinforcing disordered eating through sharing tips. It was also discovered that the users who were the most steadfast in their participation in the eating disorder community also demonstrated more eating disordered behaviors. This is particularly significant to the study of communications because the discourse and imagery reinforced through these online communities can be detrimental to those who engage. By understanding the nature of the eating disordered communities and the motivation behind participants behavior, one can develop solutions to help those with an eating disorder join the road of recovery rather than continue along the path of destructive behavior. Over the past several years, there has been a rise in the quantity and availability of pro-eating disorder websites across the globe (Jefford, 2012). Each year over 13 million searches for pro-eating disorder information is sought after on the internet (Lewis & Arbuthnott, 2012). While efforts have been made the shut down the pro-eating disorder online community, underground pro-eating disorder sites continue to thrive. This issue is pervasive, global and growing. Over 24 million people suffer from an eating disorder and eating disorders have the highest mortality rate of any mental illness (ANAD, n.d). Pro-eating disorder sites promote that eating disorders, including anorexia, bulimia and EDNOS (Eating Disorder Not Otherwise Specified) are a lifestyle choice, not a disease. Pro-eating disorder is a term that implies willingness to accept that one has an eating disorder without seeking treatment (Csipke & Horne, 2007). These pro-eating disorder sites provide a forum for those suffering from anorexia, bulimia, and other eating disorders to discuss and reinforce eating disordered behavior (Peebles, Wilson, Litt, Hardy, Lock, Mann, & Borzekowski, 2012). Members of pro-eating disorder sites, including pro-Ana (pro-anorexia) and pro-Mia (pro-bulimia), normalize and rationalize their eating disordered behavior, thereby encouraging the continuation of the eating disorder as a lifestyle. Through the cultivation theory this paper will show how the messages about disordered eating on pro-eating disorder sites affect the members through three common themes. These themes include posting “thinspiration” images, sharing common experiences and reinforcing disordered eating through sharing tips for maintaining the disorder. Additionally, it was discovered that the users who displayed the most frequent usage in the eating disorder community also demonstrated more apparent eating disordered behavior. This paper explored eating disordered sites that met at least one of the following criteria; declared the site was pro-eating disorders, provided a disclaimer that one should not visit the site if they have an eating disorder or are in recovery, displayed in the top 10 results from a Google search of “Pro-Ana”, “Pro-Mia” or “Pro-eating disorder”, used the phrase “thinspiration” and/or provided tips for eating disordered behavior. The sites I evaluated include theprostylelifestyleforever, thinintentionsforever, pro-ana posts on tumblr, myproana.com and prothinspo.com. I evaluated the pictures, content, discussion and pinned posts on each of these sites. Members of pro-eating disorder sites normalize and rationalize their eating disordered behavior, thereby encouraging the continuation of the eating disorder and reinforcing their viewpoint that anorexia is a lifestyle, not a disease. The cultivation theory supports this theory because it states that when messages are repeated and pervasive, viewers are more likely to accept the messages as normative (Borzekowski, Schenk, Wilson & Peebles, 2010). This paper extends the cultivation theory to the study of pro-eating disorder sites. Through a thorough literature review, this paper analyzes the research in the field of eating disorders, pro-eating disorder sites, body image and cultivation theory. Through evaluating the cultivation theory, attributes of eating disorders as a mental disorder, the media’s influence of the community’s perception of weight, themes within the eating-disorder community sites and usage among community members, this paper will demonstrate how the advent of the pro-eating disorder community is global, pervasive, and destructive. George Gerbner (1976), communications scholar, developed the cultivation theory that posits, “when messages are pervasive and repeated, individuals with higher exposure levels are more likely to accept the conveyed messages as normative” (as cited in Borzekowski, Schenk, Wilson & Peebles, 2010, p. 1526). The cultivation theory explored how viewers who watch a lot of television are more susceptible to media messages (Davie, 2010). Gerber (1998) stated that the media affects individuals through repeated television viewing over time (as cited in Van Vonderen & Kinnally, 2012). This research demonstrated that television can influence our perception of the world and can perpetuate stereotypes. Van Vonderen and Kinnally (2012) examined the correlation between media usage and body dissatisfaction through the lens of the cultivation theory. The researchers demonstrated that the mediated norm for body image is the thin-ideal. Shrum (2009) states that while the cultivation theory doesn’t cause one to have certain mindset, it does reinforce their attitudes (as cited in Van Vonderen & Kinnally, 2012). Morgan and Shanahan (2010) note that individuals often seek out media that affirms their existing attitudes (as cited in Van Vonderen & Kinnally, 2012). Therefore, if one is already inclined to seek out images, content and information that reinforces their disordered body image, they will continue to be drawn to that content, which in turn strengthens their attitudes (Van Vonderen & Kinnally, 2012). Another element of cultivation theory is resonance. Schwartz (1973) developed the resonance theory of media, which identified that decoding non-verbal stimulus is no longer our biggest problem in the age of digital communications. Communications through digital media requires resonance, which takes place when the recipients evoke meaning from the communication (Schwartz, 1973). Without meaning, the communication is stagnant. Using this theory of resonance and the cultivation theory, Shrum and Bischak (2001) theorized that the more the life experiences of a viewer is reflected in the media content they consumer, the more likely they are to allow it to affect them. The National Alliance on Mental Illness reports, “eating disorders are some of the most challenging mental illnesses” (Duckworth & Freedman, 2013). One in twenty people will experience symptoms of an eating disorder at some point in their lives. Eating disorders include anorexia, bulimia, binge eating and EDNOS (Eating Disorder Not Otherwise Specified). According to the National Eating Disorder Association (NEDA) all of these eating disorders “include extreme emotions, attitudes, and behaviors surrounding weight and food issues” (NEDA, 2014). Almost 50 percent of those suffering from an eating disorder also suffer from depression (ANAD, n.d.). Jurascio, Shoaib and Timko (2010) found that social networking sites appeal to those with eating disorders because they are prone to depression and have deficient social support. They also found that those who use pro-ana sites use a style of communication that enables them to connect as a coping strategy for battling their illness. They can share experiences and gain support from one another. Along the lines of gaining support from one another, those who visit the pro-eating disorder sites seek connection and tips to hone their perfectionism at maintaining the disease. Kuntsman, Smith and Maner (2014) conducted research that found that self-oriented perfectionism is a risk-factor for disordered eating. Failure to achieve extreme standards leads perfectionists to feel a lack of self-control. They will then turn to dietary restriction to obtain control. 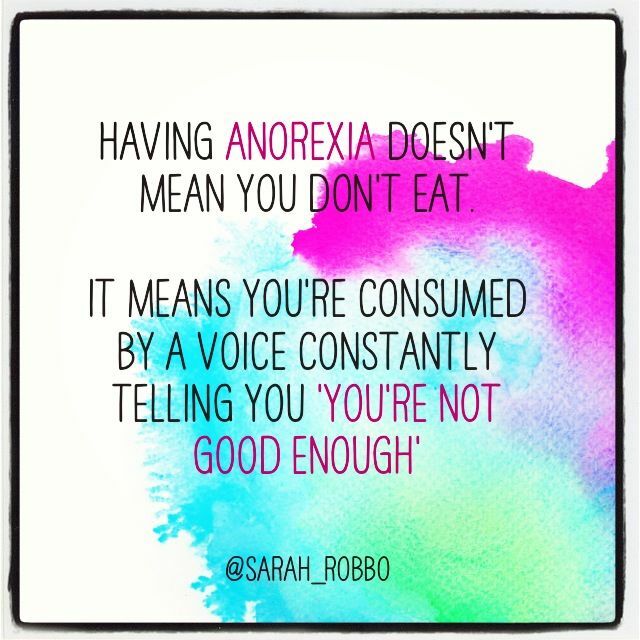 It’s also important to note that even though the pro-eating disorder sites claim that they embrace anorexia as a lifestyle, not a disease, anorexia is in fact a disease. Benninghoven, Jürgens, Mohr, Heberlein, Kunzendorf and Jantschek (2006) studied the differences in the changes of one’s body image in patients with anorexia and bulimia during psychosomatic treatment. The researchers found that while patients with bulimia were able to successfully improve their body image during treatment, patients with anorexia continued to maintain a distorted body image, despite their weight increasing to a healthy level. Those with eating disorders are preoccupied with their weight and have body size distortion and body dissatisfaction. This study found that those with anorexia not only had an extremely distorted body image, but even after treatment they continued to desire a lower percentage of body fat. Benninghoven et al. concluded that this is due to the fact that anorexics have a pride in their extremely underweight bodies and they view the manipulation of their bodies as a positive result of their strength of control. McClure, Puhl, and Heuer (2011) conducted research on the news coverage of obesity and how the media contributes to the negative attitudes towards those who are overweight and/or obese. When mass media displays images of obese people in unflattering or stereotypical ways, they are reinforcing the negative trope of overweight people. Those who are overweight are subject to discrimination, bias and prejudice, which are reinforced through the media. Andreyeva, Puhl and Brownell (2008) conduced research that found that weight discrimination has decreased by 66 percent over the past decade (as cited in McClure, Puhl & Heuer, 2011). However, there is still an overwhelming amount of negative portrayals of overweight and obese persons on television. The repeated imagery of negative portrayals of overweight people in the media reinforces the negative attitudes and prejudice to these individuals. Anuradha, M. (2012) conducted research on the gender stereotypes in television commercials aimed at children in India. While this study didn’t look at eating disorders, it did explore the cultivation theory and affects of media exposure on children. Television programming and commercials still represented gender stereotypes. Anuradha (2012) says that studies have shown that women are still portrayed in the stereotypical role of dependent, domestic caregiver while men are represented as the dominating voice and as the bread-winner. This study found that gender behaviors are influenced by television. Proulx (2008) states that many women with bulimia are disconnected from their bodies and feelings, which leaves them more susceptible to cultural influences. Proulx also found through her research that woman who suffered from bulimia experienced extreme thoughts of worthlessness, victimized, powerless and numbness. Because they felt disconnected to their true selves, they couldn’t regulate their feelings and their behaviors became out of control. We see this clearly in the documentary, Dying to be Anorexic (2012). The two anorexics featured, Lavinia and Katie turned to pro-anorexia sites for support in maintaining, not overcoming their disease (2012). Both Lavinia and Katie viewed being anorexic as a strength, not a weakness. Lavinia used the pro-eating disorder site to get tips about being an anorexic safely. Lavinia says she learned about the dangers of eating cotton balls, a common practice among anorexics to lose weight, and taking laxatives on the pro-eating disorder sites. Lavinia also turned to the site for support when she because distraught when she couldn’t maintain her strict diet of 200 calories. Arroyo and Harwood’s (2012) research found that 66 percent of adolescent girls are trying to lose weight (Neumark-Sztainer et al., 2002 as cited in Arroyo & Harwood, 2012). They also found that 50 percent of adult women have negative perceptions of how they look (Cash & Henry, 1995 as cited in Arroyo & Harwood, 2012). This isn’t just an issue in the United States. Even though over 24 million people of all ages and genders suffer from an eating disorder in the United States this is a global issue (ANAD, n.d.). The UK has the highest rate of eating disorders in Europe (Anorexia & Bulimia Care, n.d.). Studies show the number of people diagnosed with an eating disorder in the UK increased by 15 percent since 2000 (Micali, Hagberg, Peterson & Treasure, 2013). Jefford (2012) states that not only are pro-eating disorder sites on the rise, but the majority of the new sites are originated from the UK. This is demonstrated clearly in the documentary, Dying to be Anorexic (2012). As we follow the stories of Lavinia and Katie, two anorexics from the UK (2012), we clearly see Lavinia and Katie participate in the online eating disorder community to maintain their eating disorder. Lester, R. (2004) conducted research on eating disorders to understand the correlation between eating disorders and culture. Lester found that while eating disorders are typically thought of as a Western disease as a result of post-industrial materialism, eating disorders are on the rise in non-Western and non-modern cultures around the globe. Lester says that while most scholarly literature provides data that points towards eating disorders being the result of a society that “supersizes” everything, viewing this as a cultural issue is flawed (p. 607). Lester states that the reason this is flawed is because culture has become more complex in the age of globalization and mass media saturation. American culture can be exported and the Westernization of other cultures is prevalent. Jurarascio et al. (2006) defines “thinspiration” as “images of thin women designed to encourage viewers to lose weight” (p. 394). Lewis and Arbuthnott (2012) conducted research on how individuals search for pro-eating disorder information through Google search. They discovered that “pro-ED search terms are sought out more than 13 million times annually, with pro ana receiving the most searchers monthly” (p. 200). Lewis and Arbuthnott also found that search results associated with the terms thinspiration and thinspo contained the most damaging content. In evaluating the pro-eating disorder sites, another common theme was discovered, which was how the eating-disorder community shares common with another, which reinforces and normalizes disordered eating. Jurascio, Shoaib and Timko (2010) found that individuals who participate in pro-eating sites encourage each other to restrict their eating, resist recovery and have an increased likelihood of body dissatisfaction than those who do not use these sites. As a part of this connection, participants engage in “fat talk”. “Fat talk” is defined as the words we express about both our own and other’s bodies (Arroyo & Harwood, 2012, p. 167). Arroyo and Harwood (2012) conducted two studies to evaluate how “fat talk” influences body satisfaction, depression, pressure to be thin and self-esteem. Study one found that “fat talk” contributed to body weight concerns and mental health problems. Study two found that fat talk correlated with a higher perceived pressure to be thin and a higher rate of depression. The other correlation that both studies found was that the lower the participant’s body satisfaction, the higher the fat talk. We also see the correlation of connections in Eichhorn’s (2008) research. Eichhorn evaluated 490 postings on pro-eating disorder sites to analyze the social support on discussion forums, including the type of social support provided, strategies used to solicit support, and the top five Yahoo! eating disorder discussion boards. Eichhorn categorized the messages from the eating disorder groups into the following categories: informational, emotional, network, instrumental and esteem. The results find that information support is the most frequent, with 29.7 percent of the responses. Out of the informational responses, Eichkorn uses research by North (1997) as the basis for her categorization, which identifies the five strategies that individual’s most typically use to try to obtain support in social circles online. These include: self-deprecation, shared experiences, information, personal success and extreme behavior (as cited in Eichkorn, 2008). Eichkorn found that 51.9 percent of the responses were shared experiences whil only 1.1 percent of participant responses on pro-eating disorder sites were statements of extreme behavior. There was also a positive effect of the participation on the pro-eating disorder sites because “computer-mediated communication allows individuals with eating disorders to solicit feedback and provide comments with anonymity,” (p.68). Csipke and Horne (2007) conducted a study of those who frequented pro-eating disorder sites and found that participants reported visiting this site to obtain food and exercise information, tips on hiding their disorder, and inspiration for maintaining their disorder. Many participants reported visiting the site when they were already in a negative mood and after visiting the site their body image worsened. Csipke and Horne‘s research also found that active participants, those who visited and posted frequently, found the pro-eating disorder sites helpful. Contrast this discovery to those who used the site for emotional support through “silent browsing”, meaning that they did not post or respond to comments, as they were more prone to sustain disordered eating (p. 203). Csipke and Horne (2007) identified two concerns with the pro-eating disordered sites. The first concern they identified was that individuals visit the site to obtain tips on how to become anorexic. The second concern they identify is that individuals who participate in the eating-disorder forum begin to normalize their eating-disordered behavior. Peebles et al. (2012) found that heavy users of eating disordered sites have a significant inclination towards eating disordered behavior. One reason for this correlation may be due to the cultivation theory. The cultivation theory states that when messages are repeated, individuals with higher exposure levels are more likely to accept the messages as normative. Applying this theory to eating disordered sites, one can see how those who have more exposure to eating disordered sites may reflect this behavior as they begin to deem it as normal. Through the cultivation theory this paper will show how the messages about disordered eating behaviors on pro-eating disorder sites affect the members through three common themes shared across all pro-eating disorder sites. I conducted research on four pro-eating disorder community forums, My Pro Ana, Pro Ana Lifestyle Forever, Thin Intentions Forever and Tumblr. Through this research, three commonalities were found, including posting thinspiration images and text, sharing common experiences encountered by those with an eating disorder with other community members, and reinforcing disordered eating through sharing tips for maintaining the disorder. Additionally, it was discovered that the more steadfast the participation of the pro-eating disorder community member, the more disordered their behavior. The first theme to explore is how members of the pro-eating disorder sites share “thinspiration” images, which reinforces and normalizes eating disordered behavior. Jurarascio et al. (2006) defines “thinspiration” as “images of thin women designed to encourage viewers to lose weight” (p. 394). Thinspiration includes both images and text to provide inspiration for others who desire to be thin. The majority of information shared on pro-Ana tumblr included images of anorexic or thin individuals and pictures of viewers claiming to be “fat”. The pro-eating disorder community also includes thinspiration images in their signature, including movie clips, thin celebrities, pictures of emancipated women. The users in the community also post thinspiration as their profile picture. It isn’t clear if the pictures are of their own emancipated bodies or those of one they find inspirational. Pro-ana Tumblr communities frequently post images and phrases that are meant to be inspirational to the pro-ana community. Examples include, “Don’t eat anything today that you’ll regret tomorrow,” (thin-iwill-be, 2014), “collar bones, hip bones, thigh gap” (ana-forever-owns-my-soul, 2014), and “Skip Dinner Wake Up Thinner” (dandelion—wishes, 2014). The pro-ana Tumblr community also uses hashtags, such as #proana, #promia, #skinny, #thighgap, #thinspo, #ednos, #thinspiration and #anatip to categorize their posts. The use of these hashtags allows others who were seeking pro-anorexia tips or thinspiration images to easily find the information. Van Vonderen and Kinnally (2012) examined the correlation between media usage and body dissatisfaction through the lens of the cultivation theory. While Van Vonderen and Kinnally’s research focused primarily on television, this theory can be extended to support the theory that viewing “thinspiration” images on the pro-eating disorder sites reinforces a negative body image. The more “thinspiration” images that women view, the more normalized they become. On the flip side, the more negative associations with overweight images, the more it reinforces that being thin is a positive attribution and being overweight is negative (as cited in Van Vonderen & Kinnally, 2012). In evaluating the pro-eating disorder sites, another common theme was discovered, which was the community interacts with each other through sharing common experiences, which reinforces and normalizes disordered eating. Jurascio, Shoaib and Timko (2010) found that social networking sites appeal to those with eating disorders because they are prone to depression and have deficient social support. They also found that those who use pro-ana sites use a style of communication that enables them to connect as a coping strategy for battling their illness. They can share experiences and gain support from one another. One example of this is within the Myproana also has a discussion board dedicated to those with EDNOS (Eating Disorder Not Otherwise Specified), which is an eating disorder that does not meet the criteria for anorexia or bulimia (Other Specified Feeding or Eating Disorder, n.d.). One of the hot topics was “Today I feel proud of myself because I avoided eating_____” (Gravity_Grave, 2014). This topic trended as a hot topic, as it had 2,923 views and 274 replies. The community shared experiences about foods that they have avoided or foods in which they’ve binged. The community bonds over these shared experiences. The topic, “How do you have self control around food?” (Kittycat123, 2014) also experienced the same trend. The post had 224 views and 15 replies to this topic. This discovery supports Eichhorn’s (2008) research, which found that only 1.1 percent of participant responses on pro-eating disorder sites were statements of extreme behavior, while 51.9 percent were shared experiences. Eichhorn found a positive attribution of the participation on the pro-eating disorder sites because “computer-mediated communication allows individuals with eating disorders to solicit feedback and provide comments with anonymity,” (p.68). This can be seen on the pro-eating disorder sites, as the user community can post their shared experiences in a safe environment. Through evaluating the categories of comments Eichhorn (2008) defined in her study, which included informational, emotional, network, instrumental and esteem, along with along with the cultivation theory, I believe that those with eating disorders use computer-mediated communication to connect with others, but also to normalize their behavior. I don’t think that the users set out to obtain tips on maintaining an eating disorder, however through their participation, they begin to believe that their eating disordered behavior is acceptable. Those suffering from an eating disorder are able to make connections with others experiencing a similar struggle and not only connect emotionally, but through information as well. However, on the same token, they can share information, tips and pictures that encourage this eating disordered behavior. Since the majority (51.9 percent) of the comments were shared experiences, this confirms that individuals are seeking others with related experiences on these anorexia discussion boards. As we’ve seen through Eichorn’s (2008) research, participants on eating disordered sites connected with each other by contributing shared experiences. Part of the shared experiences community members contribute is “fat talk”. As I stated earlier, “fat talk” is defined as the words we express about both our own and other’s bodies (Arroyo & Harwood, 2012, p. 167). This “fat talk” is self-degrading commentary, which normalizes eating disordered behavior. We see this “fat talk” when evaluating the content on the pro-eating disorder sites. The members of the community post their HW (highest weight), LW (lowest weight) and CW (current weight). On the My Pro Ana site the member L-and-A-Inside (2014) has an extensive signature with her height, weight and days that she ate under 500 calories. She also has commentary next to her weight, including “disgusting” next to her HW, and “disgusting, I’ll post when it’s lower” next to her current weight. On another post, mylifedependsonanumber (2014) asked the community to post the size of their thighs. “Advanced Guru” member, wannabebetter (2014) stated “19 inches smfh. BMI 17.4. I’ve always had fat thighs,” (MyProAna). Advanced Sage member, Merkid’s Starving posted, “AYOOO fat lard here beating all of you at 21 inches!! !” (MyProAna). These posts both demonstrate the advanced level of membership as demonstrating a tendency towards eating disordered behaviors and increased level of fat talk among the members of pro-eating disorder sites. All of the eating disordered sites explored in this study represent a significant amount of fat-talk. Using the cultivation theory, we can see that the more individuals participate in fat-talk, the more likely they are to believe that it’s true. The more they believe they are fat, the more they are inclined to have eating disordered behaviors. Arroyo and Harwood (2012) found that saying “fat talk” contributes to depression and perceived pressure to be thin, but hearing the comments has no correlation. The research on “fat talk” is important as it relates to communications research with the pro-eating disorder websites, as it helps us understand that what we say has more of an impact than what we hear. Another example of the impact of sharing experiences in the eating-disordered community is within the Myproana site. Myproana has a discussion board dedicated to those with EDNOS (Eating Disorder Not Otherwise Specified), which is an eating disorder that does not meet the criteria for anorexia or bulimia (Other Specified Feeding or Eating Disorder, n.d.). One of the hot topics was “Today I feel proud of myself because I avoided eating_____” (Gravity_Grave, 2014). The community members discuss what they avoided eating or what they ate and felt guilty about. This topic trended as a hot topic, as it had 2,923 views and 274 replies. The community shared experiences about foods that they have avoided or foods in which they’ve binged. The community bonds over these shared experiences. The topic, “How do you have self control around food?” (Kittycat123, 2014) also experienced the same trend. The post had 224 views and 15 replies to this topic thread. The users shared both success and failures, which were shared experiences. MyProAna was more focused on community than the other pro-ana sites. They posted content that related to support, connecting with others and creating a sense of community. While there are many posts about finding buddies and connecting with others who can help in the road to recovery, there are also many posts that encourage eating disordered behavior. One post by DI(ANA) (2014) titled “Emily & Diana’s Forbidden Food List” focused on all of the foods that the community strictly prohibits. It was considered a “hot” topic, meaning that it’s trending with a lot of posts. The post was started on November 20, 2014 and it had 1,093 views and 56 replies by December 9, 2014. The third theme I discovered was that the community contributed tips to maintaining an eating disorder. The ProThinSpo (n.d.) community provided tips that ranged from tactical to psychological. Some of the tactical tips included wearing a rubber band on your wrist and snap it when you want to eat, eat with your opposite hand and pour something gross on your food .The strategic tips included keeping a thinspiration book, eating in front of a mirror and thinking of those who are overweight when eating. These same tips can be seen on The Pro Ana Lifestyle Forever (2014) blog, demonstrating a commonality among the pro-ED sites. The Pro Ana Lifestyle Forever (2014) blog encourages readers to talk a lot during meals so you spend more time talking than eating, not to be first to finish or start eating and take a sip of water between each bite. Both sites tell readers to sabotage their food with salt, eat with the opposite hand and to brush their teeth to avoid eating. The research of Csipke and Horne (2007) supports this finding. They conducted a study of those who frequented pro-eating disorder sites and found that participants visited the site to obtain tips and inspiration for maintaining and hiding their disorder. After visiting the site, their body image perception actually worsened. This is demonstrated in the documentary, Dying to be Anorexic (2012). The two anorexics featured, Lavinia and Katie, turned to pro-anorexia sites to receive tips for continuing their eating disorder (2012). Lavinia used the pro-eating disorder site to get tips about being an anorexic safely. Lavinia says she learned about the dangers of eating cotton balls, a common practice among anorexics to lose weight, and taking laxatives on the pro-eating disorder sites. Lavinia also turned to the site for support when she because distraught when she couldn’t maintain her strict diet of 200 calories. This is a common practice on the pro-eating disorder sites. While the members state that they aren’t sharing tips to develop an eating disorder, they share tips about how to lose weight safety. Another common theme seen on the pro-eating disorder sites is that they view anorexia as strength, not a weakness. Both Lavinia and Katie stated their viewpoint on being anorexic as a strength, not a weakness in the documentary, Dying to be Anorexic. Lavinia expressed jealously when she walked past the anorexics in the eating disorder clinic on her way to work. She felt like she wasn’t good enough if she wasn’t “anorexic enough” to be in the mental health facility (2012). This can be seen on the pro-eating disorder sites as well, as members of the pro-eating disorder sites get upset when they have a day in which they feel they weren’t in control of their eating. In my research on the pro-eating disorder sites, I saw that the members spoke of “Ana”, which is anorexia, as a person and superior being. Being “Ana” is highly desired among the community and holds a higher status than “Mia”, bulimia, which is seen as a weakness. The combination of viewing anorexia as a lifestyle, envying others with anorexia and normalizing the eating disordered behavior contributes to the continuation of the eating disorder. While Eichhorn (2008) explored the qualitative data on the pro-eating disorder communities, Peebles et. al (2012) explored the quantitative data. Peebles et. al conducted a study of 1,291 participants who visited pro-eating disorder website communities. Researchers found that over 70 percent of participants had used a disordered behavior to control their weight, including binging, purging or using laxatives. However, only 12.9 percent were in treatment. Peebles et al. (2012) also found that participants who were exposed to the eating disorder sites for more than 25 minutes were more likely to experience a negative affect, perceiving themselves as heavier than they actually were. The other correlation that both studies found was that the lower the participant’s body satisfaction, the higher the fat talk (Arroyo and Harwood (2012). Through my research I discovered that the individuals who displayed the most frequent usage in the eating disorder community also demonstrated the most apparent eating disordered behavior. The majority of pro-eating disorder sites categorize their members by usage. On Myproana (n.d.) the categories include “Advanced Sage”, “Advanced Warrior”, “Advanced Guru”, “Advanced Member”, “Warrior” “Member” and “Newbie”. These classifications are determined by the quantity of posts the user makes. All users start out as a “Newbie” and then they can obtain increasing levels of status the more they post. This is supported by the research of Csipke and Horne (2007), as they also found that individuals who visit the pro-eating disorder sites begin to normalize their eating-disordered behavior. To support this theory, evaluate the example of an “Advanced Sage” (highest level) member on the MyProAna site. Megurine Luka (2014) stated that she ate below 500 calories for one-two months. She also only weighs 98 lbs. at 5’2. The next level of membership is “Advanced Guru”. An “Advanced Guru” member modoki (2014) says that she has a BMI if 12.5 and has had years of amenorrhea. This is consistent with what Peebles, et al. found in their research on eating disordered sites. Peebles, et al. (2012) found that heavy users of eating disordered sites have a significant inclination towards eating disordered behavior (Peebles et al., 2012). One reason for this correlation may be due to the cultivation theory. The cultivation theory states that when messages are repeated, individuals with higher exposure levels are more likely to accept the messages as normative. Applying this theory to eating disordered sites, one can see how those who have more exposure to eating disordered sites may reflect this behavior as they begin to deem it as normal. There is significant more research that needs to be done on pro-eating disorder websites. While research that identifies the negative effects of pro-eating disorder sites exists, not much research has been conducted on the possible benefits. While this paper explored the detriments of using the pro-eating disorder forums, not all of the effects are negative. Jurascio, Shoaib, and Timko (2010) found that those who use pro-ana sites use a style of communication that enables them to connect as a coping strategy for battling their illness. They can share experiences and gain support from one another. Current research analyzes the content posted on pro-eating disorder websites, but there is not much quantitative data on pro-eating disorder community. Since pro-eating disorder websites are underground and private, it can be difficult to find and analyze the sites. The pro-eating disorder website must be open and allow permission for successful analysis. Finally, since the advent of pro-eating disorder websites are fairly new, the research is young. It would be beneficial to see the research on the long-term effects of participation in a pro-eating disorder community. The exploration of pro-eating disorder sites is a particular relevant topic to the field of communications because the internet enables online communities and opportunities for those with similar interests to connect. This is particularly dangerous because through the participation in a community with others with eating disordered behavior, those with eating disorders begin to normalize their behavior. Research shows that those participating in eating disordered communities are more prone to suffering from eating disordered behavior. Through applying the cultivation theory, one can see how the community normalizes this behavior, which in turn perpetuates eating disorders and the participation in the community. This is particularly significant to the study of communications because the discourse and imagery reinforced through these online communities can be detrimental to those who engage. By understanding the nature of the eating disordered communities and the motivation behind participants behavior, one can develop solutions to help those with an eating disorder join the road of recovery rather than continue along the path of destructive behavior. Anuradha, M. (2012). Gender Stereotyping in Television Commercials Aimed at Children in India. Media Asia, 39(4), 209-215. Juarascio, A. S., Shoaib, A., & Timko, C. A. (2010). Pro-Eating Disorder Communities on Social Networking Sites: A Content Analysis. Eating Disorders: The Journal Of Treatment & Prevention, 18(5), 393-407. Kunstman, J.W., Smith A.R. and Maner J.K. (2014). Overpowering Restriction: Power Reduces Restriction Among Self-Critical Perfectionists. Journal of Social and Clinical Psychology, 33(7), 630-652. Proulx, K. (2008). Experiences of Women with Bulimia Nervosa in a Mindfulness-Based Eating Disorder Treatment Group. Eating Disorders, 16(1), 52-72. Van Vonderen, K. E., & Kinnally, W. (2012). Media Effects on Body Image: Examining Media Exposure in the Broader Context of Internal and Other Social Factors. American Communication Journal, 14(2), 41-57. What was the most surprising thing you learned in this course that relates to connection between communication and culture in our networked society? How might the global community use the digital landscape to build more connection and communication in the future? The most surprising thing I’ve learned in this course, as it relates to the communication between communication and culture in our networked society is Deggans (2014) research that found “90 percent of what happens in media is about how someone makes money or loses money” (2014, 9:44). I knew previously that financial factors had a large influence on television and printed media, however I did not realize the scope of impact. I had a naïve assumption that the media reported on the most pertinent issues. The FCC says, that they receive a variety of complaints regarding one-sided, biased news, however “The FCC’s authority to respond to these complaints is narrow in scope and is prohibited by law from engaging in censorship or infringing on First Amendment rights of the press”, (2014, Federal Communications Commission). I completely understand and respect the FCC’s position to not interfere with the way news is reported because that would infringe upon our First Amendment rights. However, I also wish that the information that was reported on the news wasn’t solely the result of what will generate the most revenue. As I tell my children though, learn to work with the system, not against it. Deggans (2014) provides an example of how individuals were able to successfully work with this system to get Glenn Beck off the air. Glenn Beck called Obama a racist, and viewers when straight to the station’s pocket by complaining to the advertisers instead of the broadcasting company. This resulted in advertisers pulling out and Fox News to question how Glenn Beck fit into their strategy and brand. Viewers were successful in taking this show off the air because they were able to influence Glenn Beck’s sponsors and affect the company’s bottom line. This point really speaks to how we can understand how communication and culture relates in a networked society. If we want diversity in our media, we must demand it. As consumers, we must have media literacy and demand diversity in our news. To do this, we must tie our demands back to the bottom line and the financial impact for the company. In regards to how the global community can use the digital landscape to build more connection and communication in the future, I strongly believe that the power is shifting to the consumer. As we learned in this course, consumers have more power than ever in media due to social media. In this digital age, anyone can be a publisher, writer and source of news. From a twelve year old creating their own YouTube channel to Deggans (2014) tweeting about a concern about the choice of music during the Nelson Mandala funeral to the Chronicles of an arranged Indian marriage blog, we saw in this course that social media gives us all a voice. McNeil (2013) says that the uses and gratifications model analyzes social networking sites as not only a passive user, but also as one who changes projection of identity through the groups and websites they visit. The global community can project their identity, connect and communicate through these social networking sites. Additionally, according to McNeil (2013) there are six motivations for consuming others projections, including educational, habitual, companionship, relaxation, escapism and entertainment. Whether we use social media to develop connections across cultures, enhance our education or simply to relax, we can connect across global communities. We can also enhance knowledge of global communities by continuing to share and contribute content that helps enhance education and build connections. By understanding the uses and gratifications theory and our own motivation for using these social networking channels, we can build further connections. McNeill, S.J. (2013). Concepts in new media. Boston, MA: Pearson Learning Solutions. Alexander Heffner interviews Eric Deggans, TV Critic for National Public Radio (NPR) and author of Race Baiter. From Hurricane Katrina to Travyon Martin to the racist comments made by Donald Sterling, Deggans covers the intersection of race and media in the hot topics of today. Deggans tackles race in the media in his book, Race Baiter. Race baiting, is defined as “once the practice of unfairly targeted racism against minorities has become recast impute those those who unfairly raise discussions of racism in the public square” (Deggans, 2014, 1:30). Deggans also discusses how the media continues to unfairly perpetuate stereotypes seen in “Birth of a Nation”. The first question that Heffner asks Deggans is why the media perpetuates stereotypes and why the audiences have permitted racism. Deggans (2014) starts by discussing Fox News. Deggans states that Fox News doesn’t explicitly say “we are a white channel”, but if you explore how they address race based discussions, you will see that the primarily reflect the ideas of the white, middle American Republican. Deggans says that when one observes how Fox News reported on the Donald Sterling issue or Trayvon Martin case, one will see that Fox News not only reflects certain ideals, but they also pass along damaging stereotypes One example of this is how Glenn Beck stated on his show that Barack Obama is racist. Deggans (2014) also states that the working class and middle class white people are being trained to turn a blind eye to issues that affect them too. For example, white people are told the untrue story that affirmative action only affects African Americans. When evaluating who is benefitting from these Affirmative Action programs, one will see that Military Veterans of all races, women/mothers and people of color all benefit, in that order. The view that affirmative action only affects minority races is pretentious and distracts them from institutional racism. Roger Ailes is the president of Fox News Channel, and chairman of the Fox Television Stations Group. To evaluate why Fox News has the bias that they have, one should look at the history of the man Roger Ailes. Ailes consulted with Nixon in the 1960s and worked with Bush. Roger Ailes learned to talk about things that politicians talked about in television. Nixon used a “southern strategy”, which is the strategy that Nixon used with southerners. Southerners were upset with civil rights act and laws, so Nixon went on television and said that he was in support of their viewpoint. Roger Ailes learned from that lesson and talked about race and prejudice in a way that made white people feel good. Ailes built this into the marrow of Fox News. The ultimate goal of Fox News is to reflect goals of their viewer. Deegans evaluated the Fox News audience and found that the average age for their viewer is in their late 60s and half their viewers are over 70. Their viewers are politically conservative, male and white. When it comes to race, Fox News wants to reinforce the tory that people want something for nothing, and they want to tell their viewers “you are having a hard time too and you are just as likely to be discriminated against….this is proof of how this is true.” (2014, 7:45). Deggans (2014) studied both unscripted and scripted television. Look at the conflict between MSNBC and Fox News. This is an example of two news outlets pitted against each other and ask and you have to ask which one can you trust. You can to evaluate how race works in each of their contexts. But the most important thing to keep in mind is 90 percent of what happens in media is about how someone makes money or loses money (2014, 9:44). Deggans says that we must understand our media and understand ourselves. When Glenn Beck says Obama is racist, we must understand the economic imperative. Heffner (2014) states that Fox News states that they are experiencing reverse racism. Deggans (2014) states that this is a common tactic, as Fox News, NewsBusters.org and Rush Limbaugh all say that they have a movement against them. Deggans (2014) says that to put an end to contemporary race baiting, it will require us to have media literacy. Deggans says that social media takes the power from gatekeeper and gives power to the front line. If you see something on television you don’t like, you can go on Twitter, make a hashtag and it can become so big that the television industry can’t ignore it. Deggans (2014) speaks about an instance in which this occurred with him, when he was watching Nelson Mandela’s funeral. Deggans tweeted a question, “I love CBS This Morning , but couldn’t you end a segment on Mandela’s funeral with real African music instead of Toto’s Africa.” (Twitter, Dec, 10, 2013). By the end of the day, both Huffington Post and Slate wrote about it. Toto then released a statement saying they wish they chose a different song. Deggans states that it’s all about putting an idea out there that’s an offhanded comment, then next thing you know the world gets a hold of it and CBS can’t ignore it. Another example of how race is changing in the media is in the scripted television arena. Both ABC and Fox cast their shows with black women for this fall’s season. There are three shows created, run and scripted by black woman. Two of them star a black woman as the lead. Shonda Rhymes is an African-American screenwriter who wrote. Scandel. Before Scandel, there was not a show that starred a black woman in 30 years. Scripted television has helped television producers realize that they can make more money if they put shows on that reflect America. Media literacy is important so the audience uses their power to demand that these changes happen. People should use new media to ensure race relations are fair. When Heffner asks about the concept of citizen journalist, Deggans (2014) an responds that race and prejudice aren’t topics for a citizen journalist, as one has to know how to navigate these topics. A citizen journalist not the best to pursue these issues, as they can’t sift through this stuff to make a difference. Deggans (2014) also feels that the news should talk about race every day. Just as they mention the DOW everyday, whether it’s good or bad, they always talk about it. They should talk about race and poverty when there isn’t an issue. They should do this without a calamity. For example, with the Travyon Martin case, there is too much charge to discuss this situation fairly. Many feel that black kids aren’t safe when minding their own business walking in public. Deggans says that when we’re thinking about that, too hard not to be biased. We can’t have a dialogue when we’re worried about issues, like Trayvon Martin, as it’s too polarizing. Deggans (2014) also says that we shouldn’t reinforce these tropes about black criminality or the spicy Latina. It’s easy to put up something that people automatically recognize when its shorthand, but when you do that, you encourage these stereotypes. It’s also discouraging when you look at cable news, such as Fox News, as you don’t see anchors of color. If more people of color, women and LGBT individuals were represented when story comes up, the audience may experience it in a different way. We need a diversity of people representing these issues. Deggans (2014) says that we need to develop a wide spectrum of trusted sources. We need to understand how everyone is covering them. Deggans is a self-defined NPR geek, as he says they try hard to get diversity right. He also feels that BBC does a good job. Deggans uses Twitter as clearing house for news sources. He also feels that Huffington Post, Black Voices do a good job exploring those issues, but no one get it right on first blush, even a respected reporter. One example that Deggans (2014) gives is of Jill Abramsom, executive editor of Times. When she was fired, many speculated it was perhaps because she spoke up about a pay disparity. This brought up the question, can women express themselves in the workplace? However, after many sources reported, it became clear that pay disparity was just a side issue. One should consult a wide variety of sources to make full picture. To get a full picture ask what other people saying about the topic. What are others reporting? Is New York Times reporting on the issue? What are facts? Richard Prince, a journalist who works out of D.C., writes for a platform called Journal-isms, does a lot of work on journalism, race and social issues in America media. This is one of Deggans trusted sources. Over time you develop a list of trusted sources. Deggans states that having only one source is an old school thought. He also uses the Spiderman phrase, “with great power comes great responsibility, “Media outlets track what they are watching and the chatter. We have a lot of power, now we need to exercise responsibility. When evaluating why the media reports on issues, we must harken back to the bottom line. Companies look at the bottom line. They ask where is future going. They also ask if what is being reported will affect finances of the company. It’s always been about how one can affect money making of the entity. If one can make the outlet hurt financially, then they can see results..
An example of this is when Glenn Beck called Obama racist. This statement caused viewers to go after his advertisers. It was successful enough to hurt the show. In conjunction with the loss of sponsors, Fox News had conflict over how Beck fit into their overall strategy and brand and how much autonomy he was allowed to have as a brand. Viewers were successful in taking this show off the air because they were able to affect his sponsors AND cause question over how Beck fit into their brand. Glenn Beck went off to find his own studio. 90 percent of what happens in media is about how someone makes money or loses money (2014, 9:44). To put an end to contemporary race baiting, it will require us to have media literacy. Develop a wide spectrum of trusted sources, as having only one source is an old school thought. Look for your discussion questions in a separate post. Counterculture is a culture that opposes mass culture and values. Countercultures embody distinctive and unique styles opposing dominant and mass cultures, which they find to be politically manipulated (Arthur and Sherman, 2010). I chose to evaluate the counterculture of introverts. In America, extroversion is the ideal and being introverted means being discounted. Susan Cain (2012) evaluates the introversion counterculture and the systematic degradation of introversion in her book Quiet. Quiet spurred a discussion forum, The Power of Introverts, for other introverts to unite. Through the evaluation of The Power of Introverts forum, I found three common themes that demonstrate how the online community of introverts represent themselves and contribute to their community. First, the community uses The Power of Introverts online forum to connect on topics that enhance understanding and education of the introverted personality. This, in turn, creates a united community of introverts by posting content that only other introverts will understand. Secondly, many members participate to make connections and alleviate the loneliness they experience as introverts. Finally, many individuals participate to better understand how to succeed in the workplace with an introverted personality type. Within The Power of Introverts forum, many introverts share content that help others understand what they experience as an introvert in an extroverted world. The Uses and Gratifications (U&G) theoretical framework examines how individuals use mass media. U&G suggests, “individuals select media and content to fulfill felt needs or wants” (Papacharissi, 2008, p. 137). One of the needs of the introverted community is to be understood. Within The Power of Introverts forum members can discuss topics that are relevant to them. The discussion forum boards include General Conversation, Parenting, Work, Education, Quiet: the Book and Quiet Revolution. One can see examples of sharing content that enhances the understanding of introversion through posts, such as the one made by mrmilquetoast (2013) that shares a video from Buzzfeed titled “15 Things Introverts Want You To Know,” (2013). This video includes tips for those who have friends, family or coworkers who are introverts so they can better understand what their introverted friend might be feeling in different situations. 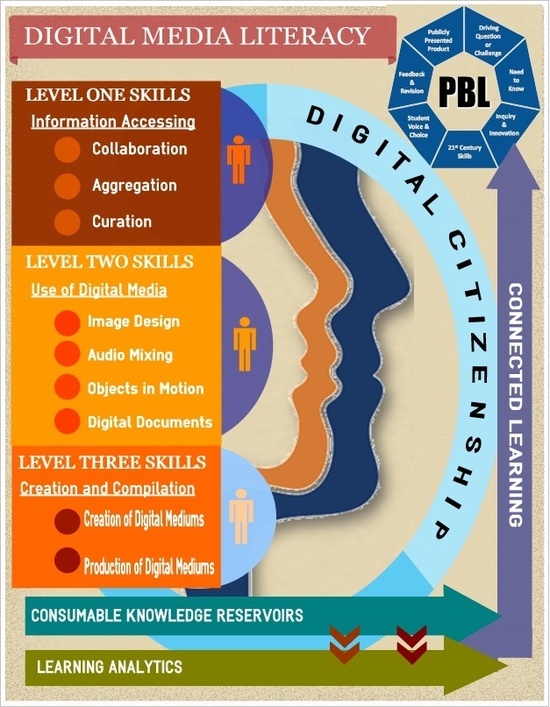 McNeil (2013) discusses the intrinsic motivation to create our online projection of identity. One of the components of motivation for introverts in participating in this online forum is companionship. Introverts have a more difficult time feeling connecting to others in a face-to-face context to the nature of introversion. One of the common misnomers about introverts is that they are hermits and misanthropes. While this can be true, introverts can also be friendly and love people (Cain, 2012). They may desire connection, but not feel comfortable with the traditional means of connecting, such as face-to-face events or parties. For this reason, introverts can feel more comfortable connecting online. Through evaluation of The Power of Introverts, I discovered that many individuals connect on topics that alleviate the loneliness they experience as introverts. One example of this is the post by smithder42 (2014) that asks others about their favorite hobbies. This individual’s favorite hobbies included primarily solo activities that resonate with introverts, such as reading, writing and arts. Not only was the individual looking for support in the hobbies that she enjoyed, but also she was looking to connect with others with common interests. Personality psychologist, David Funder, states that the biggest difference between introverts and extroverts is that introverts recharge their batteries by being alone and extroverts need to recharge when they don’t socialize enough (as cited in Cain, 2012). Personality shapes social styles. Extroverts think out loud, on their feet and prefer talking to listening. Introverts may have strong social skills, but they prefer to listen more than talk, think before they speak and express themselves better through writing than in conversation (Cain, 2012). One can see how the personality type of an introvert bodes well for the online community. Arthur and Sherman (2010) state that counterculture communities “describe a homologous relationship between the consumption of the subculture’s members and values of the group,” (p. 386). The members of The Power of Introverts share content about introversion, as introverts, which creates a homologous relationship between the values, content posted and content consumed in community. Since extroversion is the preferred personality type in many workplaces, many introverts often feel misunderstood. The Work discussion board is particularly valuable for introverts who would like to understand how to be successful at work with an introverted personality. As Koifman (2013) states, “It’s sometimes easy to feel that our world favours those who are more extroverted, that we need to be outgoing and gregarious to succeed in the workplace and in our social lives.” The post Introverts in IT development, discusses how 80 percent of those who work in information technology are introverts (Kai, 2014). There is also a post that asks others, “Are there any more introverted-oriented jobs out there?” (Janus, 2014). This demonstrates that other introverts use this community to connect on tips for being successful in their current jobs, as well as tips for jobs they should explore as an introvert. In conclusion, as an introvert, I appreciate the rise of the introvert counter culture, and connection on the online forum The Power of Introverts. The Power of Introverts is an online forum in which introverts share content to enhance education, share tips on professional success and connect with others who share this same personality type. The community creates their own identity by sharing content that enhances understanding of introversion, while at the same time connecting with each other and helping to alleviate the loneliness they experience as introverts. Arthur, D., & Sherman, C. (2010). Status within a Consumption-Oriented Counterculture: An Ethnographic Investigation of the Australian Hip Hop Culture. Advances In Consumer Research, 37386-392. Cain, Susan (2012). Quiet: The power of introverts in a world that can’t stop talking. New York, NY: Crown Publishing Group. McNeill, S. (2013). Concepts in new media: Online communication, culture, and community. Boston, MA: Pearson Learning Solutions. Papacharissi, Z. (2008). Uses and gratifications. In M. Salwen and D. Stacks (Eds.) Uses and gratifications. An integrated approach to communication theory and research (pp. 137-152). Mahwah, NJ: Lawrence Erlbaum. Every November as the leaves change into brilliant colors and begin to fall from the trees, writers from across the globe also begin to transform from their daily job as a teacher, parent or construction worker, to a writer, as they drop brilliant words onto the page. November is National Novel Writing Month, which inspired the nonprofit organization by the same name, to create NaNoWriMo, which is short for National Novel Writing Month. Through this paper, I will evaluate the purpose, content and participation of NaNoWriMo. I will evaluate both the most popular and least popular posts on NaNoWriMo to demonstrate how participants use this forum. I will also evaluate how participants use NaNoWriMo to connect with other writers, obtain encouragement on their writing and use the forum to research their genre. I will also evaluate NaNoWriMo based on how participants don’t use the forum. This will support my theory that participants use NaNoWriMo to connect with other writers and not to promote or sell their work. National Novel Writing Month organizes events where children and adults find the inspiration, encouragement, and structure they need to achieve their creative potential. Our programs are web-enabled challenges with vibrant real-world components, designed to foster self-expression while building community on local and global levels. (NaNoWritMo, n.d.). Each year, writers gather on the online writing forum, NaNoWriMo, to make a commitment to write everyday. Between November 1 and midnight November 30 writers are encouraged to write 50,000 words. In 2013, NaNoWriMo had 310,095 participants. As NaNoWriMo stated, “310,095 participants started the month as auto mechanics, out-of-work actors, and middle school English teachers. They walked away novelists,” (2014). Over 250 NaNoWriMo novels have been traditionally published, including New York Times Best Seller, Water for Elephants by Sara Gruen. Last year 89,5000 students and educators participated in the program through the Young Writers Program, which is for writers’ ages 17 and younger (Young Writers Program, 2014). Despite the word “national” in the title, NaNoWriMo is a global program with Municipal Liaisons in 595 regions on six continents. In 2014, NaNoWriMo celebrated their 16th year for providing a forum for aspiring writers around the world. The heart of the program is the engagement in the online forums. Not only do the online forums provide an opportunity for other writers to connect with each other, but they also include virtual networking opportunities with published writers, publishers, editors and literary agents. This year, six published authors wrote pep talks to mentor aspiring writers. The authors included Veronica Roth, Jim Butcher and Tamora Pierce (Kim, 2014). The top four topics with the most posts include Games, Diversions & Other Exciting Forms of Procrastination with 52,298 posts, Reference Desk with 28,901 posts, All-Ages Coffeehouse with 31,204 posts and Word Wars, Prompts & Sprints with 25,429 posts (Forums, 2014). Compare this with the three topics with the least amount of posts, including Military Lounge with 170 posts, Mainstream & Realistic Fiction with 350, Dangerous Writers: Night of Writing Dangerously with 444 posts and 30 Covers, 30 Days with 978 posts. When evaluating the differences between the posts with the most activity and the posts with the least activity, one can see three themes. First, the posts with the most activity center on topics that are applicable to a broad audience. Consider the post, Games, Diversions & Other Exciting Forms of Procrastination. Procrastination is something that plagues every writer. Mcardle (2014) discusses the psychological origins of procrastination among writers. Mcardle states that most writers are paralyzed by the fear of writing something inadequate. She explores how most writers are used to analyzing the works of others, which is in final, polished format. This in turn causes writers to analyze their own works with close scrutiny and then struggle with insecurity. Pastor Steven Furtick says, “The reason we struggle with insecurity is because we compare our behind-the-scenes with everyone else’s highlight reel.” (as cited in Mcardle, 2014). As a writer, I can completely relate to the topic of procrastination. Even for this paper, I spent hours procrastinating before starting on the actual writing. I hung three pictures up in my office, chatted with my mom and sister, watched a show with my daughter and prepared a snack. The component I find interesting is that there is an actual discussion forum that centers on procrastination. This demonstrates that writers acknowledge and embrace their procrastination and use it as a form of bonding. Some of the topics on this thread include, “Just Say Something”, which is allows writers to “Come here and just say anything ❤ Vent, share an accomplishment, talk about your writing, any little thing in your life.” (Titanium, 2014). Writers are able to connect on topics that allow them to break away from the stress of writing, while still participating in the forum. Compare this with the post that has the least amount of posts, which is targeted to a narrow audience: military writers. The Military Writers topic only has ten threads, the majority of them generic and not specific to writing, including: “A place to say thank you”, “Happy Veteran’s Day” and “Welcome to the Military Lounge,” (Dudley, H. and Girl, M, 2014). The second theme that is common among the posts with the most responses includes posts that offer helpful information. The post Reference Desk falls into this category. This post contains several threads from members asking about how certain things work, from the “Average speed of a sailship” to “How small would a town have to be to not have a hospital” to “How does Catholic confession work?” (Karalianne et al., 2014). This forum allows other writers to connect on questions they have for ensuring the books they are writing on are factual. Given that NaNoWriMo connects writers from around the world can greatly benefit from the diversity of culture, background and experience that other writers bring. In contrast, the Mainstream & Realistic Fiction forum only offers information for those writing in the genre of mainstream and realistic fiction (Dudley and Shatterglass, 2014). I also noticed that the majority of the posts in this discussion forum don’t offer information for other writers, but they are asking for specific advice that is only applicable for that specific author. For example, one of the threads is titled “How to make my novel standout” (Lisashawnz, 2014). This thread is specifically asking how she can make her novel standout from all of the others. There is no benefit for others to comment on this thread, which is why there are zero responses. Compare this thread with one in the Reference Desk post with “Very well known religious song in England” (FiddleDD, 2014), which has 45 responses. This post resonated with other writers, because they could not only contribute their knowledge, but the suggestions could also benefit other writers as well. Finally, the third theme that is present in the most popular posts on NaNoWriMo includes content that centers on making connections. NaNoWriMo includes many discussion forums for authors to connect with each other. The broad categories of the discussion forums include, Official Stuff, NaNo Tips & Strategies, Mechanics, Logistics, and Other Technical Stuff, Life During NaNo, Resources & Writing Support, Genre Lounges, NaNo Groups, Outside the Box and Regional Forums. The two posts that center on connections, include All-Ages Coffeehouse and Word Wars, Prompts & Sprints meets this criteria. The threads within this post center on writers to connect and find writing buddy. The “sticky” post on All-Ages Coffeehouse with 450 comments encourages writers to add a writing buddy (Dudley, 2014). A “sticky” post means that the topic will always stay at the top of the list in a discussion forum and it often contains the guidelines for posting in a particular forum. Many of the topics within this forum also encourage a dialogue between writers, such as “Why do you write” (paintinggirl, 2014). The post Word Wars also includes a “sticky” post encouraging writers to find a word war buddy and it outlines the rules for participating in word wars, which is a game for writers. Word Wars is a game that involves either writing as many words as you can based on a prompt, timer or interesting link. The common thread between both of these posts is that it encourages writers to make a connection on something they have in common. I also noticed through participating in this forum that writers are Internet savvy and quickly see through spamming, marketing and promotional attempts. Writers will not respond to a post that is veiled as authentic, but is designed to “trick” users into either clicking on malicious content or clicking on an advertising link. I was particularly interested in this component, as I am in information security communications and I often see individuals who fall victim to malicious attempts. It’s refreshing to see that the NaNoWriMo community knows how to protect themselves from falling victim to one of these attempts. One example of this is the post from administrator Heather Dudley (2014) in the forum Word Wars, Prompts & Sprint, in which she states up front that writers should ignore posts with links that say, “click here” or include clear promotional links. As I navigated through the forum, I noticed that the majority of writers adhered to these rules and I didn’t notice any spam attempts. Additionally, I was pleasantly surprised that participants in this community were not overt in their attempts to promote their work. This can be seen through the post Special Offers & Greetings from NaNo Sponsors. This forum was one of the least popular forums with only 1,031 posts, demonstrating that writers are not primarily interested in the promotional aspect of participating in this forum. In conclusion, the forum NaNoWriMo offers a great opportunity for writers across the globe to connect. Not only can writers connect over a common goal of writing 50,000 words between November 1 and November 30, but they can form bonds that extend beyond their common love for writing. As shown through the evaluation of the content posted on NaNoWriMo, writers participate in this forum for three reasons; 1) to connect with other writers, 2) to receive encouragement on staying motivated and 3) to obtain reference information that helps them complete their book. It is also clear through studying the participation in NaNoWriMo that writers do not participate in this event to promote their work. The majority of threads relate to writers making connections and receiving advice about how to proceed with their works in progress, not promoting their published work to enhance sales. Writers who are looking for motivation to start their novel and connect with other writers should consider participating in this popular forum that draws over 300,000 writers each year. The running community is strong. Maybe it’s because runners are strong. Facing hills, heat, humidity, cold, wind or snow while encountering sweating, tummy troubles, injuries and ridicule….runners are used to overcoming adversity. And bonding over the adverse conditions is a contributing factor to the success of an online community. I studied the mainstream online community, Runner’s World Community for this textual analysis. There are many online running communities, however I chose to focus on Runner’s World Community because this community was created to bring those who are passionate about running together to share tips, inspiration, motivation and support. This textual analysis will analyze the content in the Runner’s World Community by gender, topics and motivation behind connecting online. Runner’s World includes a robust online community with sections dedicated to new runners, communities, specific running topics, races and locations. Runner’s World recently created a new online community, just for women runners. The topics in this new community include: Women’s Running Forum, Style, Run Matters, Nutrition and Chatter. One of the most recent posts in the Runner’s World Women’s Running forum by LariM (2014) “Iron Deficiency Anemia (IDA)” had 5,763 views and 150 replies. This demonstrates that the online community is strong and seeks to connect with others and use this forum to communicate. The topics in the women’s community also reveal that while the forum is designed specifically for women, not all the topics are gender specific. Out of the last nine posts on the Runner’s World Women’s Running Forum, the topics included: online running coaches, nutrition, running mechanics, fashion, shoes, first time marathoner and running during pregnancy. Only three of the past nine topics were gender-specific. When conducting a textual analysis of the Runner’s World Community, out of the last nine posts on “The Starting Line” topic, two of the posts were from women, three were from men and three were an unknown gender. In the topic, “Marathons” seven of the last nine posts were from women, two were men. In the topic, “Nutrition and Weight Loss” the last seven posts were from men and two were from women. In the topics, “Non Running Related (NRR)” seven of the last posts were from men and only two were from women. I analyzed the gender differences among the posts, hoping to find a trend that related to my hypothesis that women connected more on the online running community than men, but I did not find this to be true. There seems to be slightly more men posting on the online running forum than women. Grainge, Brugha and Spiers (2000) tested their hypothesis that there is a negative relationship between social support and depression among extroverts. Since extroverts are gregarious, impulsive and active, they often rely upon social companionship to feel content. Therefore, Grainge, Brugha and Spiers (2000) believed that the lack of social support could lead to psychological problems among extroverts. They found that over a seven-year period, a low quality of family support for women and an absence of a communal feeling among women resulted in depression. There was an even greater correlation between the level of interaction with a community and levels of depression among women. Given the results of this study, it makes sense why Runner’s World would dedicate an entire section of their website just for women to connect. One of the recent posts Runner’s World Women’s Running community was from GeekLove (2014) who asked if anyone could recommend an online running coach because she lives in a rural area and the closest running group was over an hour away. This post demonstrates that the members of the community use the online forum to connect with other runners when they can’t do so in a face-to-face environment. I found this post interesting, not only because a member of the community participated in the group as a way to connect with other readers, but also because she was seeking additional ways to connect with the running community online through an online running coach. One reason for runner’s connecting online may be because they live in a remote area, but another reason may be because they are introverted and feel more comfortable connecting online. An interesting study by Frazier (1987) disproved that distance runners are more introverted than the general population. Frazier conducted a study with both elite and non-elite runners, using the The Eyesnck Personality Inventory to measure their introversion and extraversion. He found that elite runner’s actually have a higher extraversion than the general population. This is a possible explanation for the great involvement in the online community among runners. Runners desire connection on both running and non-running related topics. In the Runner’s World online community, there are many topics related to running, such as running in the dark, running while pregnant and what to wear while running in cold weather. However, there are also topics on non-running topics. There is a board titled “NRR (Non Running Related). Some of the topics include: “What’s Your Passion?”, “Saturday Morning Pictures” and “Word Association”. While the runner’s post pictures, play word association games and ask about each other’s passions, it demonstrates that the community is strong with both running and non-running related interests. I analyzed the activity among the boards to see if certain topics resonated more with readers than others. One particular topic stood out as popular, by jpalfirsttimer (2014) entitled, “So you’re about to run a marathon and want pace advice…” This post had 31,721 views and 79 replies. Another post entitled “The TURTLE ROOM (4:30 +/-, less a pace than an attitude) by murphyO has 322,763 views and 7,165 replies. Compare this post to “Marathon Newbie: Pittsburgh” by karinamae with 0 replies and 14 views. The reason why “So you’re about to run a marathon and want pace advice…” and “The Turtle Room” posts are so popular relate the Uses and Gratifications (U&G) theoretical framework. The U&G theoretical framework that examines how individuals use mass media and suggests, “individuals select media and content to fulfill felt needs or wants” (Papacharissi, 2008, p. 137). The Runner’s World online forum fulfills others needs and wants by creating a user-generated community. The users of the site create the topics, respond to readers and post relevant content. Both “The Turtle Room” and “So you’re about to run a marathon and want pace advice” are about the community and participants, not the original poster. The post “Marathon Newbie: Pittsburgh” is all about the poster and it doesn’t leave room for engagement, which explain the low viewership and response. In conclusion, the Runner’s World Community represents a diverse community with a variety of topics, motivation for connecting online and representation from both men and women. Other online running communities, such as the Women’s Running Community blog, provide an online community, but the underlying purpose is to drive sales of the magazine and advertisement revenues. I found the Runner’s World Community to be authentic and organic. The administrators of the site didn’t bait content, topics or advertisements. The community that Runner’s World creates through their online forum is one in which the members truly seek the engagement and connection, provide motivation, encouragement and support. Are marathon runners really introverts?. (1987). Journal of Sport Psychology, 9(4), 321-322.Mostaghimi, A., & Crotty, B. H. (2011). Professionalism in the digital age. Annals Of Internal Medicine, 154(8), 560-W.197. Grainge, M. J., Brugha, T. S., & Spiers, N. (2000). Social support, personality and depressive symptoms over 7 years: the health and lifestyle cohort. Social Psychiatry & Psychiatric Epidemiology, 35(8), 366. Find an article that exhibits social media goneThe example of a social media gone wrong that resonates with me the most is the JP Morgan #AskJPM gaffe. JP Morgan who started the twitter hashtag #AskJPM to encourage their customers to ask them questions. They tweeted “He’s been a part of Wall St.’s biggest deals @Dell, @GM. $JPM Vice Chairman Jimmy Lee take over @JPMorgan on 11/14 #AskJPM” (Zeitlan, 2013). This Twitter conversation proved to be an epic fail. The #AskJPM hashtag was taken over by the public who berated JP Morgan for their mortgage practices, unethical management and business practices. In the end, JP Morgan cancelled the Q&A session stating, “Tomorrow’s Q&A is cancelled. Bad idea. Back to the drawing board” (Zeitlan, 2013). They haven’t launched a similar series since (Barak & Pavelski, 2013). The reason why #AskJPM was such a debacle is because it demonstrates that the company wasn’t truly in engaging with their audience, they simply wanted to use social media as another channel to sell their products. They were unauthentic in their desire to engage the public. JP Morgan wanted to guide the discussion towards their executive spouting career advice and using a public platform to promote their own agenda, however consumers took it over and created their own agenda. Rather than engagement, they simply wanted to promote their own story and ideals. This is a powerful example of how the power has shifted. The reason why I think the JP Morgan Twitter incident was an epic fail is represented in what McNeil (2013) says, “it isn’t enough to merely project your identity: you must have a symbiotic relationship with and within other projections” (p. 32). JP Morgan was simply projecting an image that the desired to portray without taking into consideration how they are perceived by others. They didn’t have a symbiotic relationship with the projections that others perceived of the company. McNeil (2013) goes on to say, “through online projection, you bring forth your identity,” (p. 32). JP Morgan wanted to bring forth their identity as a leader in the financial services industry, but they didn’t want to engage in a true dialogue. Companies get it wrong when they view social media as a marketing strategy rather than a tool for engaging in a true dialogue with consumers. McNeill (2013) examines the relationship between speed and media and defines speed as “cutting through the red tape of gatekeepers, program directors, and all the intermediaries that prohibit media exposure” (McNeill, 20130, p.29). In my as a communications manager, I am the gatekeeper and the “red tape” between the company and the public. I help craft the messaging to ensure we are telling our story in the channels that resonate with our public. However, given the desire for speed and “cutting through the red tape” others desire to get out on social media without engaging the communications team. They view communications as a gatekeeper and roadblock rather than a business enabler. This causes quite a bit of challenge, as those in the business often don’t understand the implications f what they say on social media. As communicators, we have to keep our finger on the pulse of not only our story as a company, but what others perceive of the company as well. If we do this well, we can avoid social media debacles, such as the one with JP Morgan. McNeil (2013) also says that ego and narcissism act as motivators for projecting an online identity. I agree completely and I feel that social media perpetuates a society in which we are becoming more narcissistic. Web 2.0 puts us in a constant state of sharing information that is germane to us and seeking feedback. This creates an unrealistic, virtual world in which content revolves around us. I believe that Twitter creates an environment of performing. I see this in the unfortunate situation of Amanda Bynes. Amanda Bynes is an American actress who became popular on Nickelodeon in the late 1990s and early 2000s (Weaver, 2014). Amanda uses Twitter to both perform and project her image to the public. She tweeted in April 2013 “Only use photos from my twitter when writing an article about me” (Bynes, 2014). Amanda also uses Twitter to post bizarre selfies, statements to attract sympathy and accusations of her family and friends. Social media provides her with a platform to both perform and project her identity. McNeil (2013) would describe both Amanda and the audience who follows her as an ethno-projected community. Question: Do you agree that social media creates a narcissistic society? Technological advancements have significantly changed the way people communicate. While there are many changes, I would like to highlight three of the most significant changes, along with their benefits and detriments. The three most significant changes include how people access information, the movement from a push to pull communications environment and Web 2.0 technologies. One of the most significant changes is the way that people access information. New communications technologies, specifically smartphones, result in an environment of always being connected. According to a study conducted by Pew Internet (2014), found that as of January 2014, 90 percent of American adults have a cell phone and 58 percent have a smartphone. More than 55 percent of cell phone owners say they use their phones to go online. A study conducted in April 2012 found that 70 percent of cell phone owners and 86 percent of smart phone users have used their cell phone to conduct a “just-in-time” activity (PewInternet, 2014). “Just-in-time” activities include coordinating a meeting, solving an unexpected problem or finding information about a restaurant, sporting event or traffic (PewInternet, 2014). Additionally, many consumers use their phones to obtain immediate information to settle an argument or even get help in an emergency situation. This demonstrates how being connected at all times can help individuals in everyday situations and provide important information to manage their business and personal obligations. While being connected at all times can offer benefit, it can also be a detriment. Paige P. Edley and Renee Houston say information communication technology (ICT) can be both empowering and constraining (as cited in Wright, K.B. & Webb, L.M., 2010). While it can better help us balance work and family responsibilities, it can also disconnect us from the real world. Turkle (2011) says, “In a tethered world, too much is possible, yet few can resist measuring success against a metric of what they could accomplish if they were always available, (p. 164). The pace set by communication technology is extraordinary. While it appears that we are more empowered by our communication technology, it actually tethers and constrains us. This is referred to as the illusion of empowerment. The illusion of empowerment brings forth the issue that we are actually not empowered by choosing when and where we work because we are actually working longer days, (Wright, K.B. & Webb, L.M., 2010). Given the significant shift in how we access information, we’ve seen the communications environment move from a push to a pull environment. According to McNeil (2013) the key behind new 2.0 applications is that the Web is live, hence the name “Living Web” (p. 16). Consumers now navigate to the news by using a Web search to find stories of interest. There has been a shift from an editor serving as a “gatekeeper” and determining what stories appeared on the front page, to the consumer actively determining the news they read (Kovach and Rosentiel, 2010, 151). Consumers pull from a variety of sources, creating their own front page and creating their own network (McNeil, 2013). Kovach and Rosentiel (2010) state that only seven percent of Americans rely on one medium to obtain their news. Therefore, it’s less important for a newspaper or online news source to present a cohesive view of the news, but rather provide accurate information on a timely basis in the channel that resonates with the consumer. This revolutionizes the way people receive and read information. Web 2.0 technology has also transformed how we communicate, as it enables anyone to be a publisher. Web 2.0 technology includes wikis (Wikipedia), blogs, microblogs (Twitter), YouTube, podcast, Second Life (virtual communities) and RSS (Darwish & Lakhtaria, 2011). McNeil (2013) describes this Web 2.0 networking of systems and online storytelling as transmedia. Web 2.0 technology has transformed communications by creating a participatory platform in which people both consume and contribute content (Darwish & Lakhtaria, 2011). As McNeil (2013) states, “Now, with the middle class environs of Web 2.0, we have no distance of territory. You are everywhere and nowhere at the same time” (p. 36). One of the great benefits to “being everywhere” and allowing anyone to be a publisher is that individuals, who previously were unheard, suddenly have a voice. The power isn’t solely in the hands of the mass media conglomerates. However, a detriment to “being everywhere” is feeling the need to be everywhere at all times. This drives an environment of technology driven attention deficit disorder as our attention is diverted. Additionally, given that anyone can be a publisher online, consumers must pay particular attention to the source and credibility of their news. In conclusion, the three most significant technological innovations, including the use of smartphones to access information, the movement from push to pull communications and Web 2.0 technologies have notably changed the communications landscape. While there are both benefits and detriments to transforming to new technology tools and ways to communicate, this isn’t the first time that the communications landscape has been revolutionized. Even though we are currently undergoing a tremendous shift in communications this isn’t the first time we’ve experienced changed, nor will it be the last. This shift in communications doesn’t diminish from traditional forms of communicating, but rather it expands on the importance of communications and the desire for information. Kovach, B. and Rosenstiel, T. (2010). Blur. How to know what’s true in the age of information overload. Bloomsbury USA. New York: NY. Turkle, S. (2011). Alone together: Why we expect more from technology and less from each other. New York: Basic Books. Wright, K.B., & Webb, L.M. (Eds.). (2010). Computer-mediated communication in personal relationships. Peter Lang: New York, NY. How has the access to information about other cultures around the world via the Internet impacted your life directly? I volunteer as a leader for my daughter’s Girl Scout Troop and understanding cultures around the world, through the Internet, has not only impacted my life, but theirs as well. One way that this has occurred is through our research and participation in the Girl Scout World Thinking Day. World Thinking Day occurs each year on February 22 (my birthday) and it’s a time for Girl Scouts to honor their sister Girl Scouts in other countries (World Thinking Day). Each year our troop participates in this event by meeting up with other Girl Scout Troops in our Service Unit and we each select a country around the world to research and represent at a World Thinking Day expo. I’ve been the leader of my daughter’s Girl Scout Troop for four years (since she was a Daisy) and we have researched Mexico, Sweden and Argentina. We do much of our research about the culture through the Internet. When we researched Mexico, we created sugar skulls in honor of Dia de los Muertos (Day of the Dead). Dia de los Muertos is a holiday celebrated in Mexico on November 1 and 2 and those that participate believe that the gates of heaven open to allow them to reunite of the spirits of the deceased for 24 hours (Day of the Dead & the Sugar Skull Tradition). When we researched Sweden, we found out about Midsummer and the maypole. Through Girl Scouts, we also research other cultures that have led us to our annual community service project of making shoeboxes for Operation Christmas Child. We talk about how children around the world are not as fortunate. According to Samaritan’s Purse, “Since 1993, Samaritan’s Purse has collected and delivered more than 113 million gift-filled shoeboxes to children in over 150 countries through Operation Christmas Child” (2014 Fact Sheet). Through the Internet, both the girls and I can learn about cultures around the world. Our author claims: “The absence of social hierarchy in a democratic environment is the true essence of Web 2.0” (p. 20). Do you believe that the Internet is a democratic space? Do you agree that social networking is the great equalizer? Why or why not? I agree with McNeil’s (2013) assessment that the Internet is a democratic space. Facebook, Twitter, blogs and wikis have made it possible for anyone to be an author. Gone are the days of only obtaining news from the newspaper or nightly news. While those channels are not extinct, they don’t sit alone. That is why I agree with McNeil (2014) that the Internet is democratic. It doesn’t exclude anyone and it doesn’t solely place the power in the hands of the people in lieu of mass media conglomerates, but instead it offers a space for all. I vehemently agree with McNeil (2014) when he says, “The original few-to-many mass communication model is now antiquated and is reminiscent of of (sic) a time when only certain organizations could afford to publish and distribute information” (12). This is absolutely true. Whereas in days past we were reliant upon the mass media conglomerates to feed us with information, the power is now in the hands of the community. We have seen this with recent examples of the power in the hands of the community, such as the JPMorgan #AskJPM Twitter hashtag backlash. Originally JP Morgan wanted to use the hashtag #AskJPM to promote their company and encourage college students to communicate directly with senior executive, Brian Marchiony. However, within hours users had taken over the hashtag and JP Morgan received hundreds of tweets from people who asked questions about their questionable business practices. JP Morgan cancelled their planned Q&A and hasn’t launched a similar series since (Barak & Pavelski, 2013). This example demonstrates how the power is in the hands of the people, not the company. If JP Morgan had used a traditional media channel to conduct a Q&A with their leader, such a static newspaper article, they could have controlled the content. Companies can no longer completely control their content, which in turn, makes the experience more democratic. I wouldn’t go as far to say that social media is the great equalizer though. While there is power in the community with social media, marginalized groups still don’t have an equal voice. I am interested to see how new technology will contribute towards equalizing the voice in media. Rob Rusher, Google Glass creating, speaks about how Google Glass revolutionaries media by allowing users to participate in media while continuing to be socially engaged (Banks, 2014). Potentially new media that we don’t even know of yet will contribute towards the equalization and democratic nature of media. I’m excited for what the future holds. Question: What social media channel has had the greatest impact on you? Do you agree with my assessment that marginalized groups still don’t have an equal voice on social media? What was the first social networking site that you joined and why? How did you use the site to reflect your identity? The first social networking site that I joined was Facebook. I joined Facebook because my manager at the time wanted our team to understand more about social media. At the time we were hearing a lot from the executives we supporting about starting a blog and a social networking site specific for our business. My manager wanted for our entire team to better understand the social networking tools so we could properly advise the executives of an internal social media approach. While I first joined Facebook as a silent “lurker” to observe the community, I became an active participant. My migration from lurker to participant happened gradually as I joined other “pages” and “liked” content that reflected my personal interest. I now use Facebook to reflect my identity through the content I read, “like”, visit and share. For example, I’m a mother, writer, runner and communications manager. I use Facebook to reflect this identify. I especially use Facebook to reflect my running identity. I love to connect with others in my running group, find races, check out racecourse maps, medals and event details…all through Facebook. I also love to post updates about my running and get “cheers” online while I’m running at an event. I find it extremely motivational! How do communities determine status among themselves and their members face-to-face and online? I believe that communities determine status among themselves differently online than they do face-to-face. McNeill (2013) says, “Social networking sites provide people with space for the freedom to interconnect with friends and explore new relationships” (p. 4). There are many relationships that I’ve established solely online. One example of this is through my writing community. I’ve written for several magazines, including Modern Parent and Little Ones, in which I have not met the editor or fellow writers in person. We collaborate online and, over time, have established both professional and personal relationships. One of the most fascinating components that McNeill (2013) mentioned is the fact that historically relationships were formed through physical proximity. Social media has turned this concept on its’ head. I was recently speaking with someone about a working relationship I had with a co-worker and she was fascinated that I had worked with this individual over ten years, but never met her in person. I’ve worked from home for ten years, although I’ll be going back into the office on November 17 (unfortunately). This will completely change the manner in which I’ve formed relationships and a community with coworkers. The main difference between social networking sites and in-person relationships is the ability for one to craft their own image through an online community. As McNeil mentions, one can create their own role identity through their profile picture or avatar. Essentially, one can be whoever they want to be. These online crafted images then can join projected communities, in which they establish online relationships based on common interests. McNeil (2013) describes this as the “digital propinquity effect” or “closeness inhibited by digital needs” (p. 5). This can create strong feelings of attachment. I am a member of “Fort Mill Fast Feet” which is an online running community in my local town. Even though we don’t all run together or know each other through face-to-face interaction, we are all close on our running group page because of our affinity for running. This can be described as digital propinquity effect. When runners are face-to-face, there may be more likelihood to bond with others in your same pace group, but online, we can all bond, no matter how fast, or slow we are…we are all runners. How has the concept of community changed with the introduction of virtual spaces? The concept of community has completely changed with the introduction of virtual spaces. Pfister and Soliz (2011) say that by reducing the cost and access barriers, websites and blogs help create a range of communities centered on shared interests. In our last course, we spoke quite a bit about alternative media and how it offers a voice outside of the mass media conglomerates. I think that there is power in the community of virtual spaces. I was just recently reading an article about Jezebel, an online community for women. Wazny (2010) says that while Jezebel never comes out and says it’s a feminist website, the site has become a feminist website due to the discussions and positions by the communities members. Wazny (2010) goes on to say that the community members define the site and content. Jezebel is one great example of an online community that is centered on a common interest. Jezebel is a women’s interest blog that launched in 2007 (Wazny, 2010). What I love about Jezebel is that they combine news, pop culture and human-interest stories with the female perspective. All of the writers, except for two contributors, are women (Jezebel, 2014). While historically feminist groups would need to form locally, online communities allow for a virtual, global presence. The online communities give power to members and provide them a voice in the virtual space.